Makarska riviera has many attractions which ensure that the tourists will come back over and over again. Beautiful beaches, crisp clean sea and picturesque coastal places are pillars of its tourist offer. But the beauties of Makarska riviera do not comprise of the coast attractions alone, there are also inland places that one should definitely pay a visit to. Vepric is one of such places. 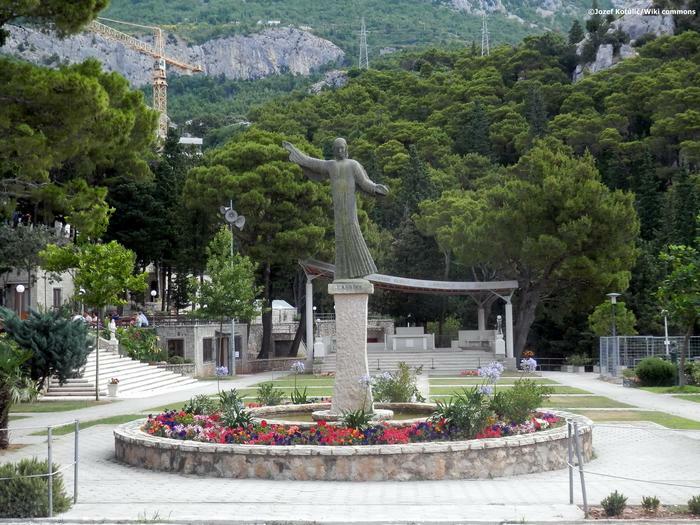 Marian pilgrimage place right next to Makarska was founded at the beginning of the 20th century due to a bishop's initiative who wanted Makarska riviera to have its own Lourdes. Vepric has a similar appearance as a famous French place of pilgrimage since it is located in a natural cave, surrounded by mountain with a nearby creek. The shrine attracts many pilgrims, as well as those visitors who just want to see its unique beauty. One of the most important pilgrimages to the Makarska inland is just about to come, on The Feast of the Assumption of the Blessed Virgin Mary that is also celebrated all across Croatia.